A team of thirteen budding golfers recently hit the golf course at Padbrook Park in Cullompton to battle it out for the second year running for the glory of winning Nu-Heat’s golfing trophy. The day presented unpredictable weather, with the players enjoying spots of sunshine and tee-ing off in the midst of a hail storm. 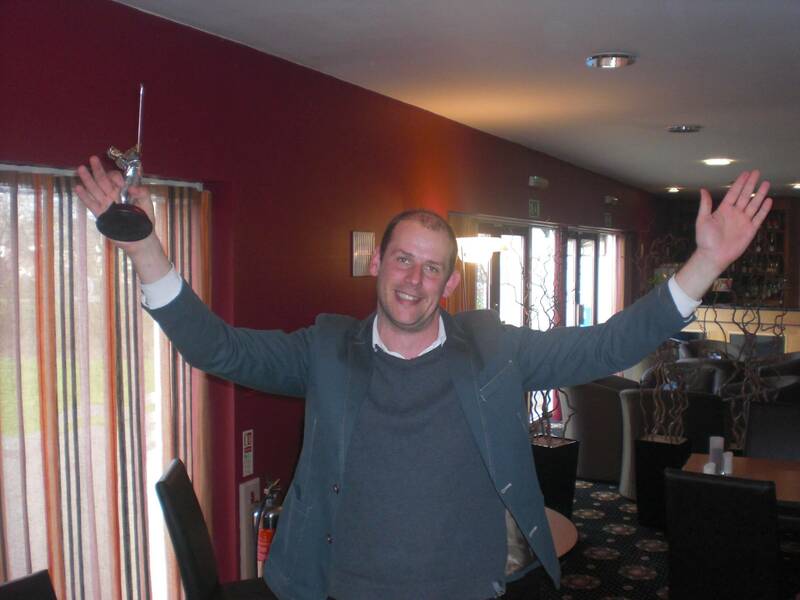 Internet Marketing Executive, Rob McCreedie, was thrilled to have won ‘closest to the pin’, but the overall winner was newly appointed Operations Manager, Steve Nixon. Steve said he was delighted to have won the prestigious trophy and the day was great, despite some awful weather. An ornamental wooden spoon was presented to a good-humoured William Newbury for his losing score. Will says; “I thought I did all right for my first time ever playing golf”. Afterwards the team tucked into a well-earned roast beef lunch at the golf-club’s restaurant. Organiser of the day Adam Thomas, a Nu-Heat Design Technician, commented on how the golfing was a great team-building day “it was lovely to spend time with my work colleagues outside of the work- arena”.